Arc Flash Kits provide a quick and efficient way to keep employees properly protected and compliant with OSHA and NFPA 70E Standards. 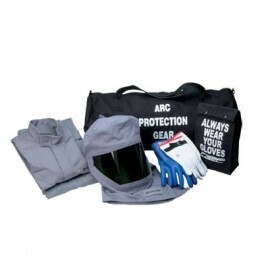 Our selection of Arc Flash Kits include a wide range of cal ratings and clothing options. 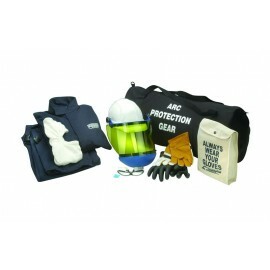 All kits include proper arc flash face protection, arc flash gloves, arc flash jackets and arc flash overalls. You may also be interested in our Double Insulated Tool Kits tested to 10,000 VAC for certified use at 1,000 VAC / 1,500 VDC. 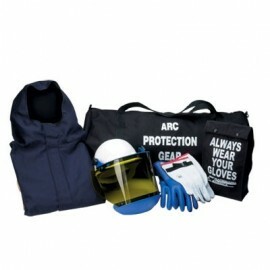 We stock a full line of personal protective equipment here. 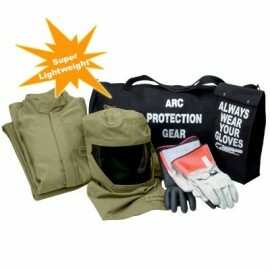 The intense energy and very short duration of an electric arc flash represents a very unique exposure. Everyday work clothes made from regular cotton or poly/cotton fabrics, regardless of weight, can be readily ignited at some exposure level and will continue to burn adding to the extent of injury sustained from the arc alone. NFPA70E now requires employees to wear flame resistant (FR) protective clothing that meets the requirements of ASTM F1506 wherever there is possible exposure to an electric arc flash. It requires employers to perform a flash hazard analysis to determine the flash protection boundary distance. 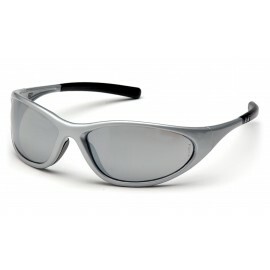 The standard is designed to protect employees working inside these flash protection boundaries by requiring protective clothing for the corresponding Hazard/Risk Category that has an ATPV of at least the value listed in the “Protective Clothing Characteristics” section of the standard (see below). OSHA has confirmed that garments which meet the requirements of ASTM F1506 are in compliance with OSHA 29 CFR 1910.269 Electrical Power Generation, Transmission and Distribution, with regard to garments not contributing to burn severity.